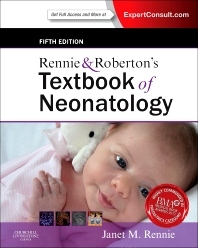 Chapter 10 Fetal Growth, Intrauterine Growth Restriction and . Chapter 21 Care of the Normal Small Baby and Convalescent . Chapter 22 Neonatal Complications following Diabetes in . Chapter 40.3 Intracranial Haemorrhage and Perinatal Stroke . Chapter 40.6 Hereditary and Degenerative Central Nervous . A3 Normal Ranges for Commonly Assessed ECG Values .